Ideal for post-treatment of 3D printed objects, the XTC 3D kit smooths your 3D prints to give them a smooth appearance. This smoothing kit works on many materials: ABS, PLA, resin. It’s simple to use, transparent, and the effects of the product are fast. 24,90 € Tax incl. 20,75 € Tax excl. 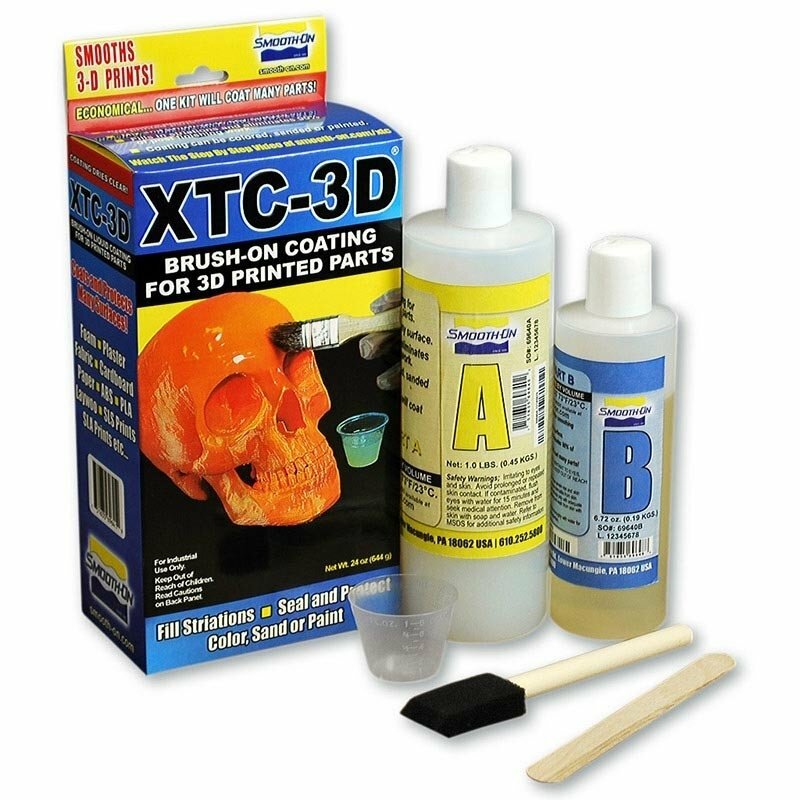 The Smooth On XTC 3D kit is a revolutionary tool that lets you smooth different types of plastic using a simple brush. The XTC 3D is transparent and compatible with various print materials such as: PLA, ABS and the majority of filaments for FDM Resin printers used by SLA/DLP printers. Mix the 2 bottles in a container to get the required amount of end product. Apply the resulting solution with a brush and leave for at least 4 hours. 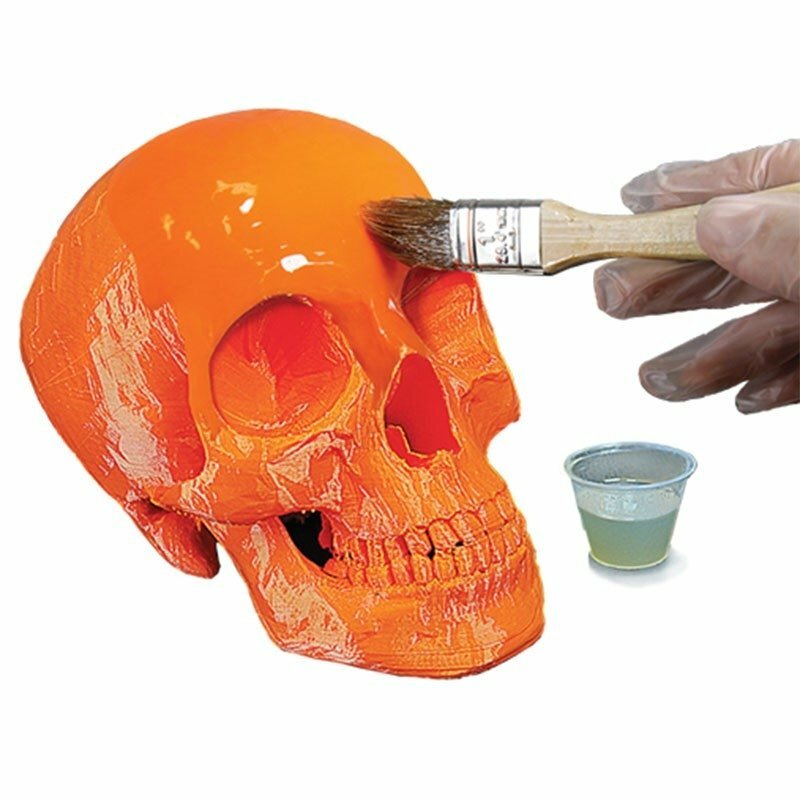 The mixture applied by brush is deposited between the layers of the object printed in 3D. Once dry, the product has a smooth appearance. It can then be painted or polished for a matt appearance. The XTC 3D should be used with care. Irritating to the eyes, wear protective glasses and gloves, then air the room after use. The Smooth On kit contains no phthalates or volatile organic compounds.